View out hotel bedroom window this morning. So far on this tour we have not had any rain. 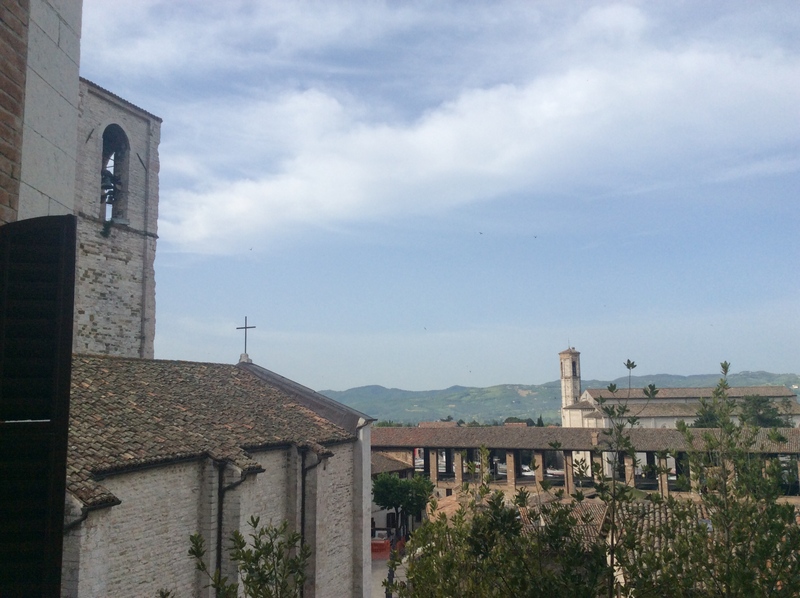 Rest day today, and market day here too in Gubbio. Need the rest. I have a chest infection, which has been sapping my energy. And tomorrow is another big day. But man o man, this is fun! Down to brekkie now… then hit the market. Very best wishes for a speedy recovery Bill – ‘sending you healing vibes.